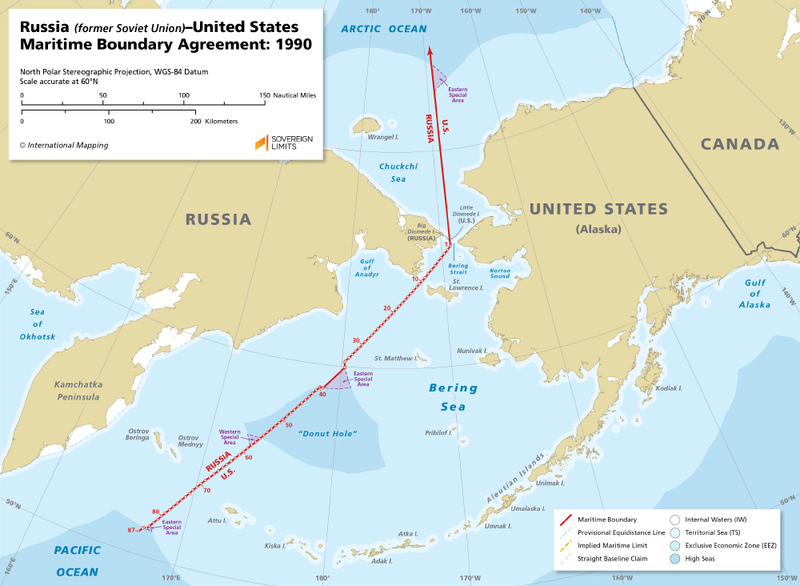 The maritime boundary between Russia and the United States in the Pacific Ocean, Bering Sea, and Arctic Ocean was established through a bilateral agreement between the United States and the Soviet Union that was reached in 1990, a year before the breakup of the U.S.S.R. occurred. 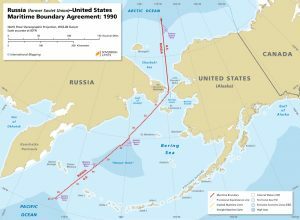 This Agreement served as an interpretation of the boundary set out in a Convention between the original Parties that dated back to 1867. In the current Agreement the Parties identified several “Special Areas” that exist along the boundary, which are now more commonly referred to as “Grey Areas.” In these “Special Areas” the maritime area in question is within the 200 M reach of the State on the opposite side of the boundary and outside of the 200 M reach of the State on the same side of the boundary.